Rudi Group are conceptual retail design specialists whose work covers full flagship retail installations through to small POS displays. 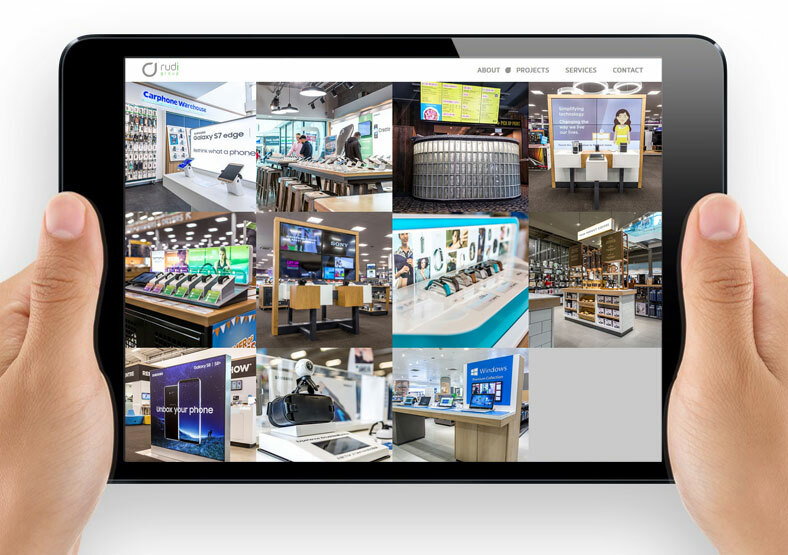 Their clients include John Lewis, Samsung, The Carphone Warehouse, Currys and FitBit. Rudi's original website was dated, and was not effective in communicating the scope of their work or the successful projects they had delivered. 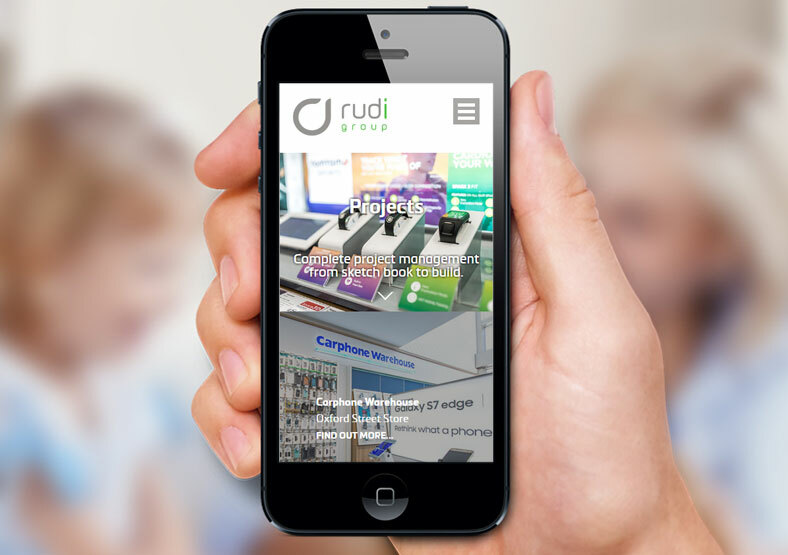 Working alongside Rudi's graphic designer Dave Bowcutt, Public built a new website for Rudi. 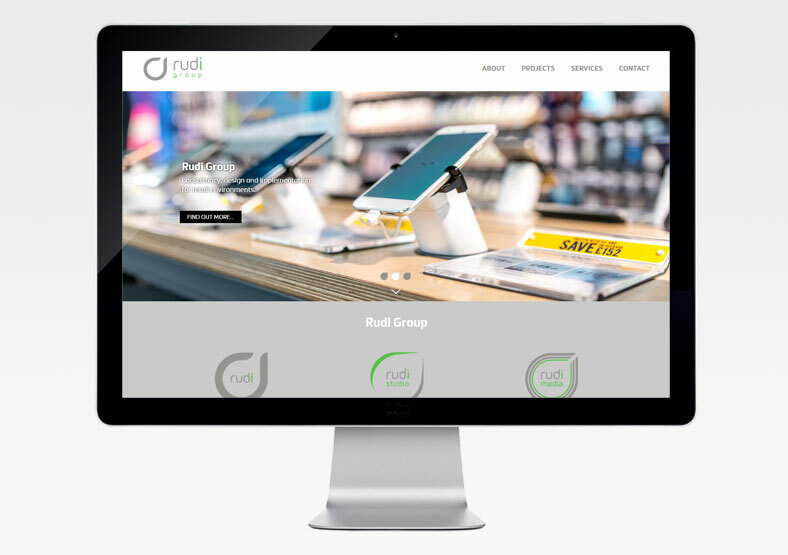 The new website showcases the high quality of Rudi's work, and covers their full range of services. The extensive use of slideshows helps to display a wide range of striking images. The site is responsive - essential for any new website build - so it can be viewed equally well on desktops, tablets and smartphones. 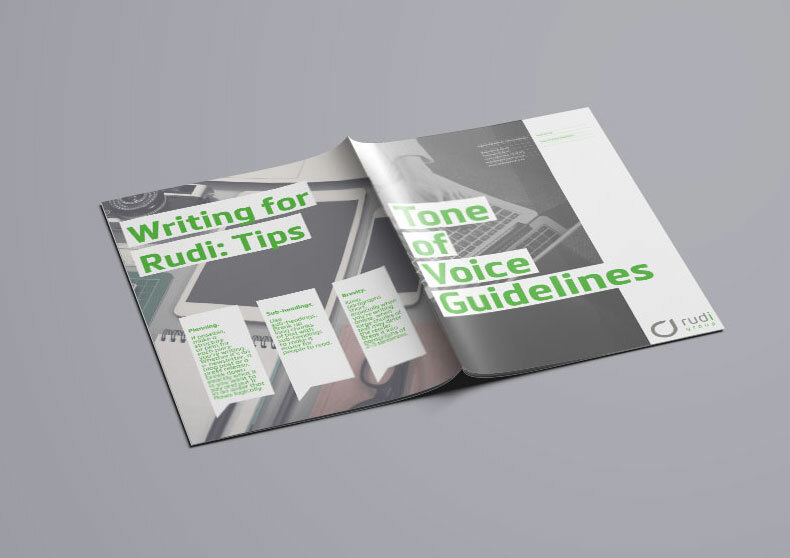 We also created a new tone of voice for Rudi, to ensure that their written materials are consistent and on brand. 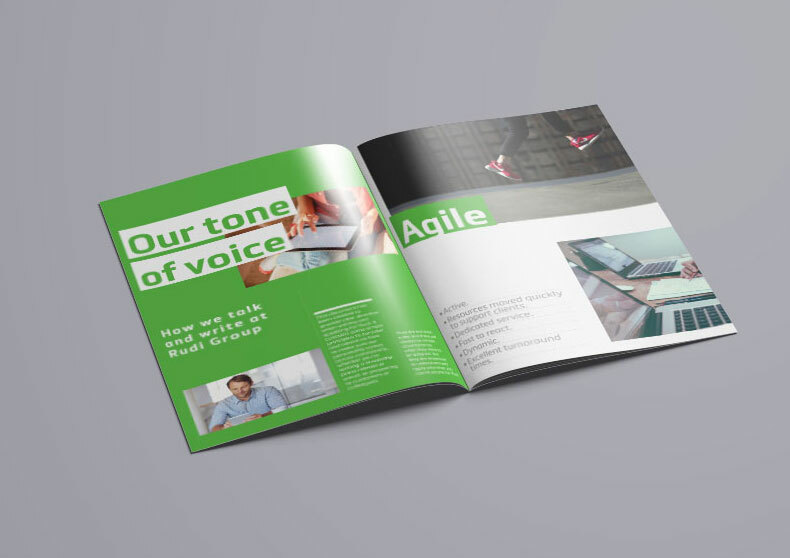 We wrote the words for the website, taking copy from Rudi's existing marketing materials and shaping their new messaging.